Simon Cowell, 59, began his career as a judge for televised music and talent competitions back in 2001, when he made his debut on Pop Idol. While the Pop Idol franchise was short-lived, the star is now famed for being on the judging panel of ITV’s Britain’s Got Talent and X Factor. But back in 2017, for the first two X Factor live shows, Simon appeared to be missing. His absences were revealed to be down to a “life-changing fall”. 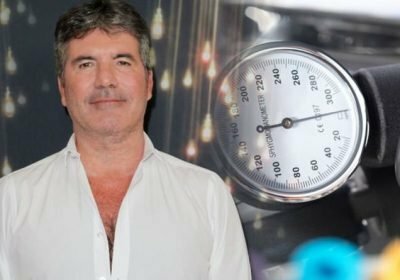 Simon vowed to take better care of himself after fainting, which he was told could have been down to low blood pressure. Speaking at the time he explained: “Sometimes we get a reminder that we’re not invincible and this was certainly mine. It was a huge shock. “They think I fainted because I had low blood pressure and so I have got to really take good care of myself to sort that out. He added to The Sun: “I’d gone to get some hot milk because I felt ropey. On the way back upstairs, I just remember feeling really dizzy. “Next thing I know someone was putting a neck brace on me and I had a terrible headache, which must have been from me hitting the stairs. I was worried at first that I’d done some real damage. “But I’m on the mend now. I know I was very lucky I didn’t hurt myself seriously. Low blood pressure is considered a reading of 90/60mmHg. Ideal blood pressure is considered to be between 90/60mmHg and 120/80mmHg. You can check your blood pressure at home with a home blood pressure monitor or ask your pharmacist, practice nurse or GP to do it for you. There are many possible causes, says the health body – it may be low because you’re fit and healthy, or you may have inherited it from your parents. Another talent show judge, Tom Jones, was forced to cancel shows last year due to his health.